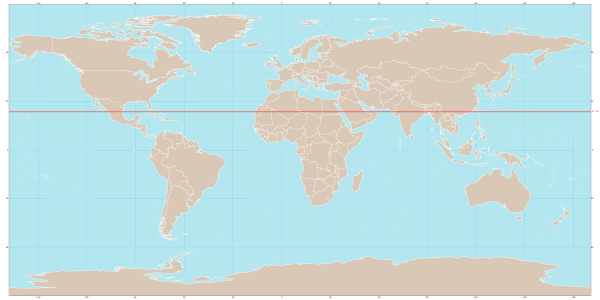 The International Solar Alliance is an alliance of more than 120 countries, most of them being sunshine countries, which come either completely or partly between the Tropic of Cancer and the Tropic of Capricorn. The alliance's primary objective is work for efficient exploitation of solar energy to reduce dependence on fossil fuels. This initiative was first proposed by Indian Prime Minister Narendra Modi in a speech in November 2015 at Wembley Stadium, in which he referred to sunshine countries as suryaputra . The alliance is a treaty-based inter-governmental organization. The International Solar Alliance is an alliance of more than 120 countries, most of them being sunshine countries, which come either completely or partly between the Tropic of Cancer and the Tropic of Capricorn. The alliance's primary objective is work for efficient exploitation of solar energy to reduce dependence on fossil fuels. This initiative was first proposed by Indian Prime Minister Narendra Modi in a speech in November 2015 at Wembley Stadium, in which he referred to sunshine countries as suryaputra ("sons of the sun"). The alliance is a treaty-based inter-governmental organization. The initiative was launched by Modi at the India Africa Summit, and a meeting of member countries ahead of the 2015 United Nations Climate Change Conference in Paris in November 2015. The Framework Agreement of the International Solar Alliance opened for signatures in Marrakech, Morocco in November 2016, and 121 countries have joined. Dr. Manishika Jain explains the developments in International Solar Alliance -India and France (role of 2 nation) Based on New Syllabus NTA NET Paper 1.